By LUDWIG VON KOOPA - Early next year. 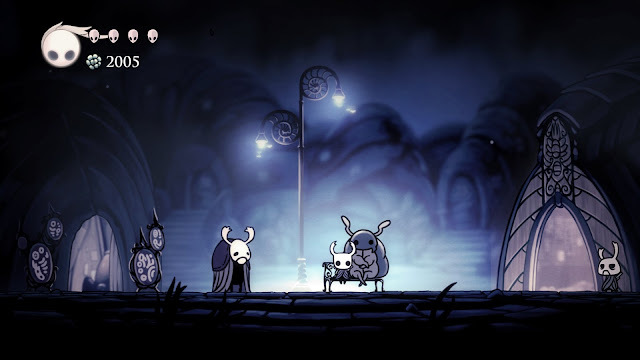 Ever since its during-E3 2018 release on Nintendo Switch and an impressive showing the next day during its Nintendo Treehouse Live segment (even if we at KoopaTV didn't say much in our reaction log about it), we've been giving some attention to Hollow Knight. The game's Australian developer. Team Cherry, has since announced wonderful sales numbers for the game on both Nintendo Switch and its earlier (2017) PC iteration, and has therefore partnered with Skybound Games to announce a physical, definitive edition of the game for “early next year,” as well as releases on the other mainline consoles. Not to be outdone, Shovel Knight is also getting an early 2019 physical release. And amiibo. And some fighting game. Either way, Shovel is the irrelevant knight. I could have gotten Hollow Knight at 33% off ($10 instead of $15), but at the same time that Team Cherry announced the sale, they had announced the physical edition. As someone that wants to buy physical editions whenever I can, of course I'm going to wait to buy that instead of get a cheaper digital version. By LUDWIG VON KOOPA - Yet another waifu-filled free-to-play mobile game with micro-transactions. Dragalia Lost is an action-RPG coming out next month in America and some Asian countries, developed in partnership with Nintendo and Cygames. If you want to watch the Direct with us (myself and Rawk), then here's the embed. Below that are our unfiltered, unedited reactions to Dragalia Lost! The first substantive look at it! By CASSIE - Want to be a game developer? Read this. A game developer is a person who creates and develops code for video games. Their job can involve every aspect of video game creation, from developing a storyline, drawing up the game, animation, as well as designing and programming different elements. For creative types and those who love the challenge of video games, it can be a fulfilling and exciting career choice. If you’re still in the stages of deciding whether to pursue game development, there are some great courses that can help build your foundational knowledge. Here are great courses to take if you want to be a game developer. While an understanding of maths isn’t all you need to be a great game developer, having mathematical knowledge can help you when it comes to learning the ins and outs of coding. In its essence, coding involves coming up with equations that will allow a computer to function in a certain way or perform a certain task. It is about knowing which equation is best and being able to use equations to direct action. For this reason, those who have an advanced understanding of mathematics are more likely to excel when it comes to being a game developer. As well as this, the skills you gain from studying maths, such as logic and problem-solving, are important skills to have as a game developer. A math background means overcoming obstacles in game design will be less challenging for you and you will have learnt strategies for solving any errors or mistakes that might come up. By LUDWIG VON KOOPA - What's wrong with it? An interesting discovery happened over the weekend: people reportedly saw that, on the Canadian Best Buy website for the Wolf, Inkling, and Ridley amiibo, it said that if you tap the amiibo while playing Super Smash Bros. Ultimate, it will instantly unlock that character. These descriptions are immortalised in this GameXplain video, but if you go to the website now, it was rewritten to remove the word “unlock” and replace with the wording “enjoy fun in-game extra features in compatible games”. Cover-up? Correcting a mistake? Who knows, but I want to discuss the idea of it, not whether or not it's actually true. First of all, in Super Smash Bros. For Wii U, if you ever tried to use an amiibo for a character you haven't unlocked yet, you would be able to fight that character as a Figure Player, but it wouldn't unlock the character for your own use. Same with one of the DLC characters if you've kept your game version up-to-date. That means if bought a Cloud amiibo but haven't bought the Cloud DLC, you can fight your Cloud amiibo but you can't play as Cloud. Keep in mind the amiibo costs several times more than the DLC. Why shouldn't you get the DLC with the amiibo? Why not be able to unlock a normal character with their amiibo, in a game where unlocking characters is already super-easy? It's also great for tournament organisers who can have a giant amiibo collection and then unlock all the characters for all of the game set-ups across the tournament. It's a lot more scalable than the alternative. By LUDWIG VON KOOPA - Let's also hope there's not another Jacksonville shooting that happens in the future that makes this article title ambiguous. You probably have heard through any news outlet out there that there was a Madden NFL 19 tournament last weekend that got interrupted by an idiot competitor who shot the place, killing two people and himself, after losing in the winners and losers brackets. It was the Southeastern Qualifier for the Madden NFL 19 Classic tournament taking place at the GLHF Game Bar in Jacksonville, Florida — the winner of this 100+-man tournament would get $250 and qualify for the finals taking place in Las Vegas in October, for a prize pool of $165,000. The winner would get $25,000. Big stuff. The competitor-turned-murderer, entered in the tournament as david_katz, competed against other names such as Young_Kiv (who we saw on-stage at the Electronic Arts E3 2018 press conference, as the winner of the Madden NFL 18 tournament), and the two deceased victims of the shooting, Trueboy and spotmeplzzz. (There is a gofundme for the victims here you can donate to.) A few handfuls of other people were wounded but are expected to recover. After losing, he went outside, got his semiautomatic gun, came back to the tournament venue, and started shooting at people. Not necessarily at the people who beat him. While I said david_katz lost the tournament, Florida investigators don't have a motive yet. The investigation is on-going. As such, KoopaTV will not ascribe a motive to the shooter's actions. Speculation here is dangerous. So let me talk about how this affects you. By LUDWIG VON KOOPA - Joy-Con only. I warned about this. It hasn't even been a year since I wrote the article, “Will Developers Maintain Nintendo Switch Pro Controller Support?” The message was clear: The Nintendo Switch Pro Controller is my preferred way to play games, and accommodating diverse ways to play (“play the games you love, however you like.” is one line that Nintendo uses to market the Nintendo Switch) is what the Nintendo Switch is all about. According to the Spain Nintendo site NextN (they seem like a decent set of folks, not that I can read Spanish), Nintendo confirmed to them that Super Mario Party on the Nintendo Switch will only be controllable via the Joy-Con controllers. You can play with the Joy-Con on their side so every Nintendo Switch owner will be able to play with at least them and one other person in local multiplayer, but note the word “only” in that. No Pro Controller. The Nintendo Switch Pro Controller is designed to be able to do almost everything a Joy-Con can do. (Infrared camera, no, but since you can play with either Joy-Con (the left Joy-Con lacks an infrared camera), that's not the issue here.) Of course, I'm sure there is a reason somewhere for why it's Joy-Con only, some niche use that ruins the experience for everyone. You can do the game's high-five gestures or whatever with a Pro Controller. Sure, it's less intuitive, but that's my choice. Is the Nintendo Switch Pro Controller banned because it doesn't have a wrist-strap? Is there no personal responsibility? By LUDWIG VON KOOPA - Shigeru Miyamoto has his opinions. I have mine. How do they compare? Right now, the Computer Entertainment Developers Conference 2018, a Japanese version of the Game Developers Conference hosted by the Computer Entertainment Supplier's Association (they also host the Tokyo Game Show), is concluding. Nintendo's Shigeru Miyamoto was a prominent speaker. You can read a write-up of his speech as reported here by Bloomberg, but I'll summarise the relevant points that I want to commentate on for this article. Miyamoto's views on this are interesting, because, in a way, subscription is the middle-ground between micro-transactions and a fixed-fee cost model. While free-to-play games often extract money from players based on value-destroying techniques (waiting to play, stopping you with paywalls, etc. ), and the one-time up-front fee lets you never have to worry about pleasing your customer post-sale, subscription means you need to keep providing your customer with value every year or they won't renew it. The Smash Bros. Fighter Ballot Used For Ultimate Character Selections — But It Was RIGGED, Remember? By LUDWIG VON KOOPA - Not only was the winner rigged, but so was the whole process. Remember the Smash Bros. Fighter Ballot? Announced April 1, 2015. Ended October 2015 — but let's face it, Masahiro Sakurai's team didn't wait until the ballot actually ended to start developing Bayonetta. The Fighter Ballot was a marketing gimmick designed for Super Smash Bros. 4, where people could write-in the character they want the most as downloadable content. Let's put aside the fact that the ballot was rigged in terms of the winner. The whole process was rigged. Because it was intended for Super Smash Bros. 4, that means that people weren't going to waste their one vote on the myriad of characters that were Assist Trophies in Super Smash Bros. 4, since logically a character can't both be an Assist Trophy and a playable character at the same time. Dark Samus and Little Mac got promoted. But most Assist Trophies have not been, and the Smash Bros. Fighter Ballot hurt them even more. With all of this systemic bias against Assist Trophies becoming playable characters in future titles, it's a miracle that Little Mac managed to make the jump! 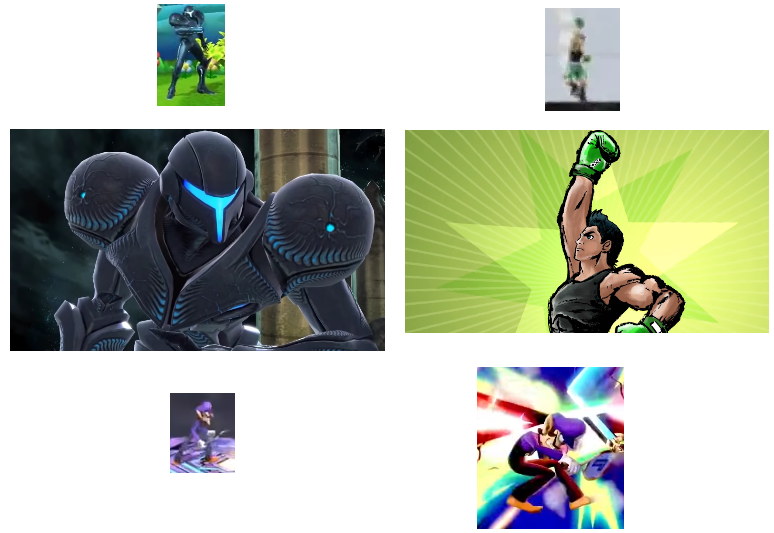 ...And, as of publishing, he and Dark Samus are the only ones who have in the history of Super Smash Bros. When Sakurai asks for feedback, you shouldn't trust that it'll be used properly. KoopaTV's Feedback Forms, on the other hand, are actually unbiased and honest attempts to try to make KoopaTV a better website. Fill out the KoopaTV Feedback Forms! Kim Hunter, Huh? FIFA 19: The Journey: Champions... Journey Finale! By LUDWIG VON KOOPA - I care about Alex Hunter's journey. Alex Hunter has been doing great things in his association football (soccer) career lately since FIFA 17 and then FIFA 18. He recently transferred to the Real Madrid team (as opposed to that awful Fake Madrid team across the street that he was dealing with before). He also discovered he has a white-looking half-sister named Kim. You get to play as Alex Hunter, and Kim Hunter, and Danny Williams — all established characters in Alex Hunter's saga. As noted by Electronic Arts, FIFA 19 will feature the very last part of Alex Hunter's Journey trilogy that started in FIFA 17. But you also get to experience the journeys of the other characters, and they're going through their own stories. Kim, for example, is playing for the United States Women's Soccer team. It's unlikely that Alex's and Kim's stories will intersect on the soccer field (Alex's and Danny's probably will!) but The Journey features extensive off-field story interaction as well. Which utensil is more useful? 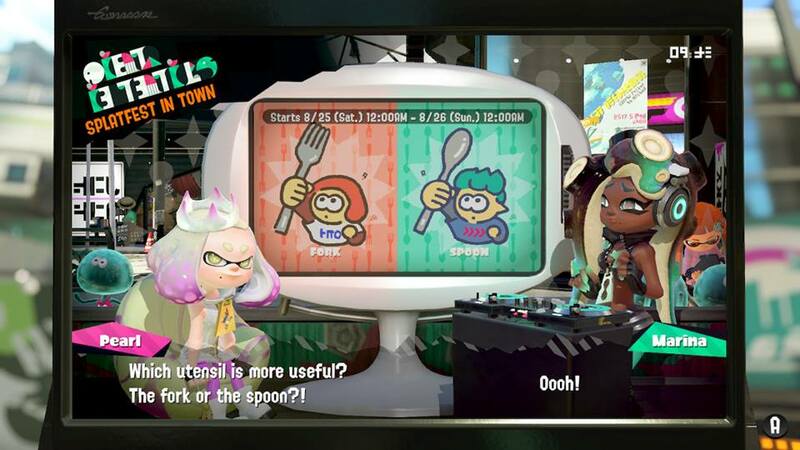 Fork VS. Spoon Splatfest! By LUDWIG VON KOOPA - There is only one objective answer. We support proper utensil usage at KoopaTV, and utensil usage to begin with. There are many articles on this site about the virtues of using a stylus instead of your fingers when operating a touch screen. The same principle applies to your food. Given that fact, one may ask, “Which is the more useful utensil?” But you wouldn't think that would be something written about on KoopaTV, a videogame commentary story. TEAM FORK vs. TEAM SPOON! Which utensil is more useful? By LUDWIG VON KOOPA - If you're a journalist, and I know your political leanings, you're doing something wrong. I have to speak out about this, again. Proper journalism is critical to KoopaTV. I've long been at the point where if I suspect a story to be FAKE NEWS, I won't commentate on it. I won't betray the trust that you have in KoopaTV by using untrustworthy, bad sources. That list is a lot longer than the good sources list. This makes it increasingly harder to do my job as an editorialist. I don't even believe most of what I read. I'm very skeptical. Anyway, here is what is a non-starter for me: Biased, ideological people claiming to be journalists. Since the mainstream media is clearly unreliable and primarily made up of FAKE NEWS left-wingers, a whole new crop of new media figures claiming to be journalists have popped out of the Internet, trying to add balance by... being just as biased and ideological, just in the right-wing direction. No. That's not how it's supposed to work. Journalists are supposed to give objective facts in their reporting, and leave the spin to folks like me. Journalists aren't supposed to care about the outcome of elections, or be rooting for anyone. If that seeps into your reporting, it's tainted, and as a consumer, I need to work all that much harder to try to filter what the actual truth is. (That makes you an enemy of the people, by the way.) If you're reporting with an agenda, then you're not a journalist. You're an activist. Journalism might be boring and no-thrills sometimes, but wanting to have fun doesn't give you an excuse to change what journalism means. By LUDWIG VON KOOPA - We need to get rid of this game. When Fortnite was announced at Nintendo's E3 2018, and then shown off on Nintendo Treehouse Live, I was upset and bored by it. However, I thought that Nintendo wouldn't talk about Fortnite after E3. Yeah, I was wrong about that. Nintendo is treating Fortnite on the Nintendo Switch as a big deal, so I figured, well, it's free to play, I might as well try it. Let's back up a bit. Fortnite is currently the most popular game in the world. It involves two parts: A co-op zombie-survival mode (“Save the World”) that was the original game of Fortnite, and a be-the-last-human-standing mode (“Battle Royale”) that outgrew the popularity of the first mode. Only Battle Royale is available on the Nintendo Switch — publisher Epic Games has no plans for the Save the World mode to come to Switch. Battle Royale mode has you jump out of a flying bus to somewhere on a large map. You need to run around collecting loot (building materials, weapons, ammunition) and survive encounters with other players, preferably hiding in forts that you've built. The large map quickly shrinks as time passes due to “The Storm”, which serves as a death-bringing counter-measure to camping in the corner of the map where no one is, as well as eventually forcing an end to the game session. Conceptually, the game design mostly makes sense (I'm not sure why the map is so big to begin with if going to its corners will ensure your demise due to The Storm), but in practice, Fortnite reeks of sloppiness and a total lack of sublimity. Get Rescued in the Pokémon Mystery Dungeon Series Here — Through 2018 and On! By LUDWIG VON KOOPA - I'll rescue you through passwords or QR codes, for any applicable game. It might be challenging to find support for games in the Pokémon Mystery Dungeon series, especially older ones. They aren't “mainstream” but can be difficult to beat. Developer Chunsoft, for most games in the series, wanted to encourage community among players by allowing a player to rescue another if they get a game over. But since the franchise is not in the public eye, where do you find quick and active rescuers? Look no more, since we at KoopaTV are big fans of the Pokémon Mystery Dungeon series, spanning from Pokémon Mystery Dungeon: Red Rescue Team to the more-recent Pokémon Super Mystery Dungeon on the 3DS. We'll even be nice people and rescue you, just for the sake of being nice. (And encourage others to buy the games along the way.) So, I have set up this page as your resource to get help that you can trust. Below are the games in the franchise that I own and some commentary on my extensive capabilities in each. Note: I've read that rescue requests are region-locked, so I can only support those in the Americas. Additionally, it does not matter if you are playing the older games via DS cartridge or Wii U Virtual Console. Same rescue system. Ashley has granted kids to Hell... What about Sakurai? By LUDWIG VON KOOPA - Ashley may still be playable... via threat. A year ago, I wrote about the positive experience of Trans-Ashley, a male-to-female transgender who is finding great success in her life, including a singing career. (Which we showcased in that article. I like her singing.) This contrasts greatly with the experience with the original witch, Ashley. You see, she doesn't want to just be an Assist Trophy. She wants to be the Wario franchise's second playable character. Unfortunately for Ashley, Super Smash Bros. director Masahiro Sakurai doesn't want Ashley to be a playable character. As revealed in last week's Super Smash Bros. Ultimate Direct, Ashley was once again relegated to be an Assist Trophy. She had the “red eyes” that Masahiro Sakurai was claiming he would have. ...Or so, that's what it looks at first glance. And I admit, that's what I initially thought as well. But clear your mind of any preconceived notions of Ashley being an Assist Trophy in Super Smash Bros. 4 and look what was actually confirmed in the Direct. And, more importantly, what was not confirmed. By LUDWIG VON KOOPA - The simulator is blameless. You may have heard that over the weekend, a Horizon Air ground-crew member, Richard Russell (29 years young) of Seattle stole a Bombardier Dash 8 Q400 airliner for a suicidal joy-ride — after doing some tricks (including a barrel roll, which he always wanted to do), he crashed into a small island and died. He was the only person in the plane. Since that airliner does not operate via keys — one has to go through many intricate actions to get it flying via the control panel — the Labo's Vehicle Kit master key was not found responsible. Dragon Ball FighterZ Open Beta on Nintendo Switch... could use some work. By LUDWIG VON KOOPA - ...It's a beta, not a demo. If you consider it a demo, it's terrible. We have been lobbying Bandai Namco for Dragon Ball FighterZ to come to the Nintendo Switch ever since it was announced, and continued to lobby for it after it was released on other platforms. 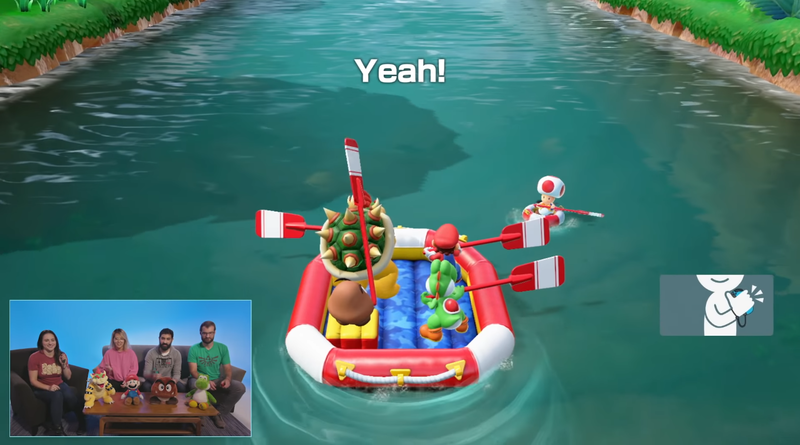 Then it was announced at Nintendo's E3 2018, amidst a flurry of many other things. We haven't said anything since, but now is a good time to — between Friday morning and the end of Saturday, Dragon Ball FighterZ has an Open Beta that you can download and experience from the Nintendo eShop! Super Smash Bros. Ultimate is Full of Content... is it the WRONG Content? By LUDWIG VON KOOPA - ...Chromtent. Did you watch the Super Smash Bros. Ultimate Direct featuring Masahiro Sakurai yesterday? You can watch it and read my reactions here. You can also read Nintendo's very detailed press release about it here. Please familiarise yourself with the material, since this article will go in-depth about it and it's best we all have the same baseline. I'm not going to summarise it in this article, since you now already (know) everything you need to know. Oh, one more thing: On Tuesday, I wrote an article defending Masahiro Sakurai as an exhausted, overworked person who people should stop thinking is trying to put hidden messages in his statements. People who saw Sakurai's statement about tired, red eyes as a hint for King K. Rool or something related to vampires had no humanity. So I'm going to be very harsh in my assessment of the Super Smash Bros. Ultimate Direct. Masahiro Sakurai has a personal grudge against me spanning years, and it's about time I have a grudge against him and stick to it. By LUDWIG VON KOOPA - He's not trying to obfuscate. When Masahiro Sakurai writes a tweet that he'll be presenting for tomorrow's Nintendo Direct dedicated to Super Smash Bros. Ultimate and that he'll be tired (from all of the work he's doing working on the game), the normal response is to feel compassion for the Super Smash Bros. franchise director. The abnormal response, which a lot of people are doing in that tweet's replies and elsewhere, is to think that Masahiro Sakurai is trying to hint at a character reveal. You know, for a character that has tired, red eyes. Like King K. Rool. Have some humanity. You don't deserve a character reveal. Here's a guy apologising in advance for a possibly non-photogenic appearance due to stress and long hours. He's worked himself nearly to death in the past, sustaining injuries. He doesn't even get a day off. He gets death threats from rabid Waluigi fans and who knows what else. He doesn't even stick around for E3 but goes to fly a midnight flight to Japan to nerf Bayonetta. And you thank him by applying bizarre scrutiny to any statement he'll make, construing it for your own agenda? Please, Sakurai doesn't have any reason to leak his own creations ahead of schedule (or even after the fact). He's super-concerned about that sort of thing, and that's why there's no story mode in Super Smash Bros. For Wii U. If you want to apply deep analysis and parsing of language to something, do it to KoopaTV. We're actually designed for that kind of depth. The more time and effort you put into KoopaTV, the significantly more you'll get out of KoopaTV. There's a net gain for you. If you do that with Masahiro Sakurai, the world will have a net loss. Ludwig wanted to title this article, “Masahiro Sakurai is not Alan Greenspan” to reference “fedspeak”, but he did a poll and it turns out that the vast majority of people don't know who Alan Greenspan is, or any other Federal Reserve chairman. He considers this proof that public education is a disaster. By the way, don't expect a log published on KoopaTV immediately following the Direct, since Ludwig and most of the staff won't be able to watch the Direct live. It's called a day job. 11 PM for Japan means 10 AM for Eastern time. The announcement that this Direct is happening was made during EVO 2018, and if Sakurai was watching that, then EVO 2018's events were certainly tired-eye-worthy. It's pretty obvious from watching the Direct itself that there is a major flaw in this article. Masahiro Sakurai deserves no sympathy. The biggest fighting game tournament of the year, EVO 2018, was last weekend! And for Super Smash Bros. For Wii U, it was really controversial. Here at KoopaTV, we revel in that controversy. And as someone who follows the competitive scenes for both Super Smash Bros. Melee and Super Smash Bros. For Wii U (and watched both of their EVO brackets), I can give you informed statements. I'll tell you what happened, what the reactions were, and then my thoughts on those reactions, and the future of the franchise's competitive activity. What happened at EVO 2018 for Super Smash Bros.
For Super Smash Bros. For Wii U, that meant all of the EVO 2018 top 8 members were not in the top 8 for EVO 2017, including EVO 2017 champion and Bayonetta professional, Salem. This time, there were three Bayonetta players, two Diddy Kong players, a Zero Suit Samus, a Duck Hunt, and a Lucina. After the amazing match between MVD vs. Raito to determine 7th place (Diddy vs. Duck Hunt), I went to sleep. It was simply very late at night, and I didn't have the energy for watching a bunch of boring Bayonetta-involved matches. Continuing off the rebooted alternate timeline established in the 20th Pokémon movie, Pokémon the Movie: I Choose You (live-reacted-to by KoopaTV's staff over here), the 21st Pokémon movie is based off of Pokémon the Movie: The Power of One (otherwise known as Pokémon 2000), but in an alternate timeline. And by based off, I mean they have little in common other than Ash, Pikachu, Team Rocket, and there being a plot focused on Lugia. The 21st movie is the second movie in the alternate timeline, and The Power of One is the second movie in the original timeline. It'll be called Pokémon the Movie: The Power of Us. Consider that, in a way, The Power of Us is a sequel to The Power of One... like, “The Power of One 2”. Given that, they decided to just pluralise it as wordplay. They wanted to do away with the individualistic, “one person can make a difference” message and turn it into a collectivist one because of ideology. By LUDWIG VON KOOPA - I really liked this month. Did you? This list is in chronological order. If you're only going to read five articles from this month, you'll want to pick these five. That said, there are some notable snubs, and that's because, as I said, KoopaTV was consistently awesome. Chain Chomp: Free at Last! (This is BAD!) — The story about how Chomps were roaming around and free, chained up thanks to King Bowser, and then freed again by the non-Koopa nations. This is bad for public safety. Nintendo, could your eShop card activation code be a little bigger font size? — Providing details on Nintendo's vendor for their Nintendo eShop cards, and requesting that they have a bigger font size because they're hard to read. The Splatfest Race War: Squid vs. Octopus — The Splatfest for July 2018, in “celebration” of the one-year anniversary of Splatoon 2, created a senseless race war between Inklings and Octolings. Koopas Dominate Sports — No matter what sport you put in front of us, Koopas will end up mastering it better than anyone else. The Threat of the Nintendo Labo: Vehicle Kit — The threat coming from the Nintendo Labo is intensifying with the third Toy-Con kit, the Vehicle Kit. Ludwig gets his own vehicles and is preparing for a strike.